CEDAR CITY – When police officers clock in to start their shift they never know if they’ll be coming back to clock out or if that one will be the last. Officer Doug Barney’s final watch ended January 17, 2016. That morning just before 10 a.m., Barney responded to the scene of a car crash just like he had numerous times in the past 18 years working for the Unified Police Department in Salt Lake County. This time though, when Barney and fellow officers arrived on scene, the incident turned into a foot pursuit after a man and a woman ran from them. During the chase, the male suspect, later identified as Corey Lee Henderson, turned and shot Barney in the head. Barney was taken to the hospital in critical condition where doctors later pronounced him dead. The Unified Police Officer was the first law enforcement agent to die in the line of duty in 2016. 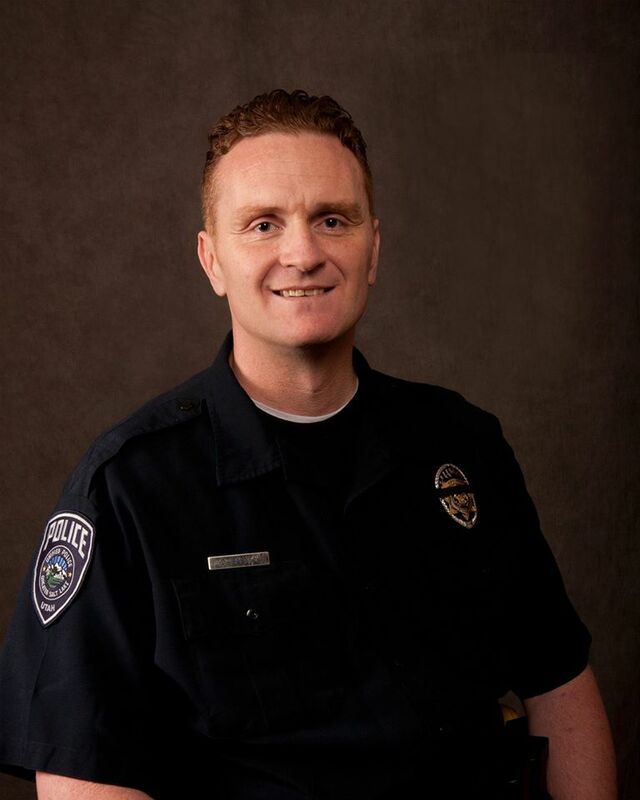 Barney, along with 13 other Utah law enforcement officers who died while in the line of duty, will be honored Saturday during the Utah Fallen Peace Officer Trail Ride. The event, held in Moab, also helps to raise scholarship money for the officers’ surviving children and spouses. This is the fifth year the Utah Peace Officer Association has overseen the event that includes a one-hour program prior to the ride and a 21-gun salute at the Old Spanish Trail Arena, 3641 S. U.S. Highway 191. There will also be 14 stations attended by uniformed police officers, highlighting each of the 14 fallen officers being honored. Markers are set up every mile along the 14-mile trail ride, each noting a fallen Utah officer, with name, photo and short biography. The oldest honoree this year dates back to 1897: Officer Silas E. Clark from the Springville Police Department. Others range from 1900 to 2016. “For me, the reason this ride is important is because it’s not just about the officers who paid the ultimately sacrifice last year but in the years past too, and we remember and honor those officers as well,” Schlosser, also a former president of UPOA, said. The trail and the ride owe their presence to Utah State Parks Ranger Brody Young of Moab. Young was shot nine times in 2010 after approaching a parked vehicle at the Poison Spider Trailhead. He was critically injured but fought heroically for his life and survived the incident. Following the shooting, the organization Ride with Respect wanted to name a trail after Young but the officer balked, instead suggesting the Fallen Peace Officer Trail. Additionally, UPOA will be giving the Purple Heart Award to several Utah officers who have been wounded in the past year. Those who bring motorcycles, ATVs and UTVs are welcome to ride the trail following the morning program, which ends around 11 a.m. The trail is located in the Dalton Wells area off U.S. Highway 191 north of Moab. The ride for those in Jeeps and similar-type vehicles starts at 4 p.m.
A free trail ride for families is scheduled Friday. Members of the fallen officers’ families are invited to the event. Hotel rooms and a catered dinner will be provided. For more information, go to UPOA’s website.